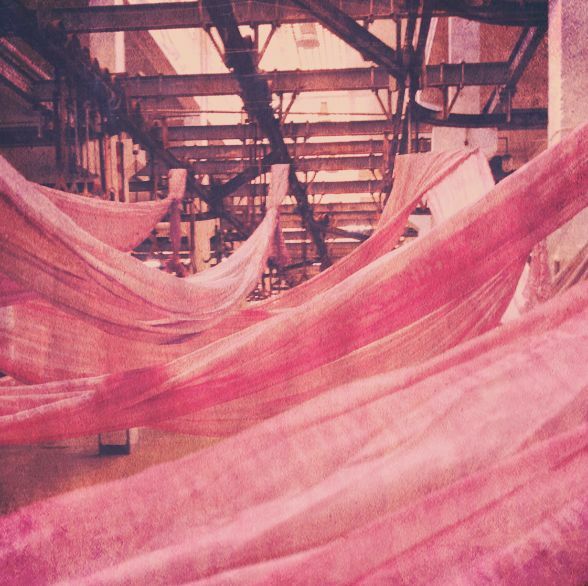 'Sweet Hibiscus' is an installation constructed 'in situ' from locally available materials. 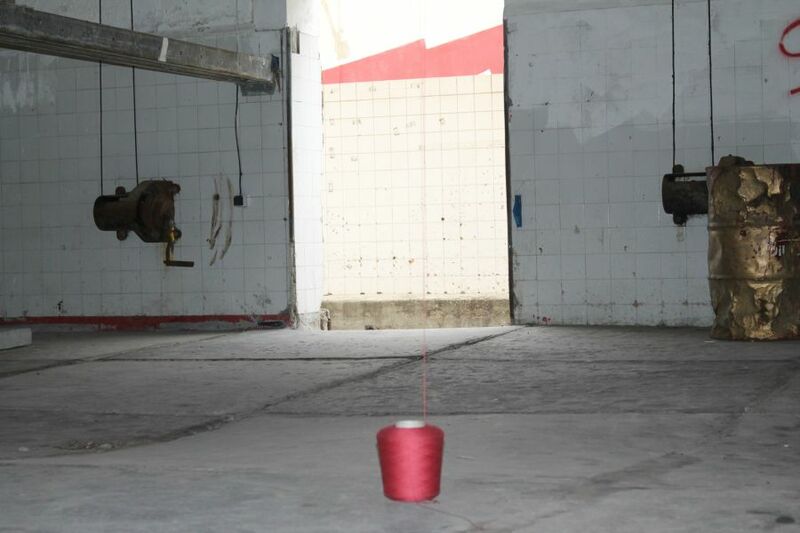 It responds in a playful way to the context of an abandoned industrial slaughterhouse from the beginning of the twentieth century. The installation is made with a minimum of resources and is structured as a work in process. 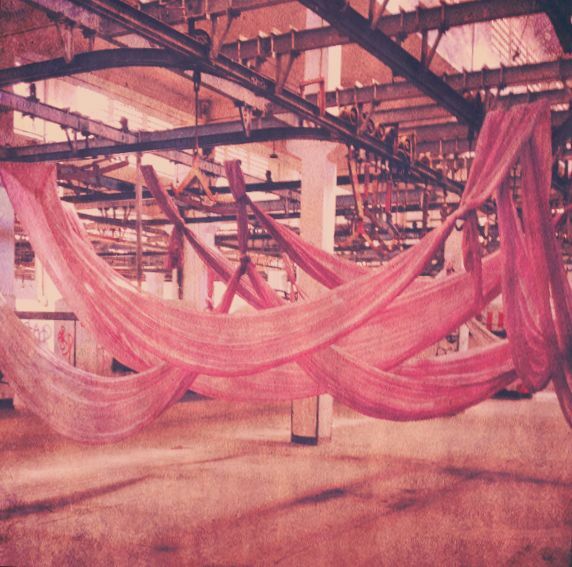 In this installation SDW uses a number of different elements: fabrics commonly used for the upholstering of furniture, dying, knot tying, weaving and linking. 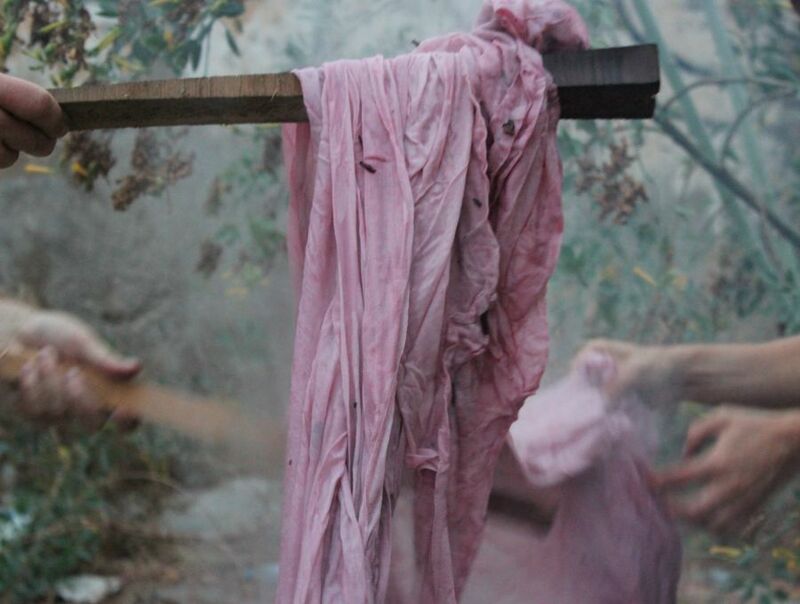 The fabrics were on the spot and manually tinted with dye made out of the Hibiscus flower. 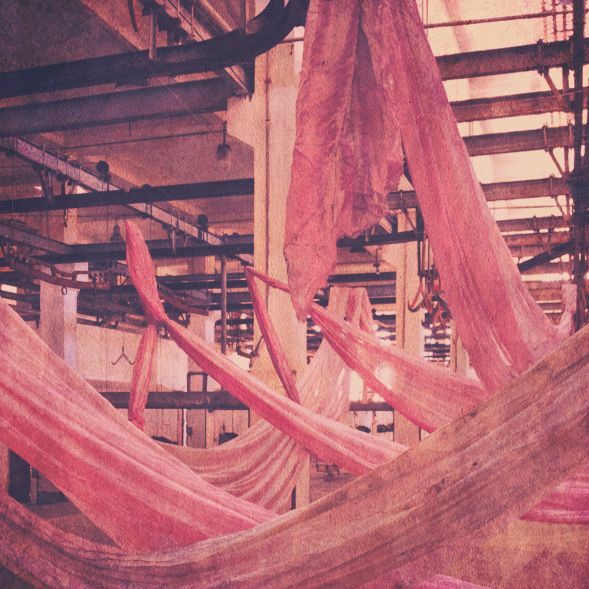 This organic dye gives the fabric a red-pink patina, innocent and carnal as the appearance of the hibiscus flower which may be referring to the past when these colors where omnipresent in the slaughterhouse. 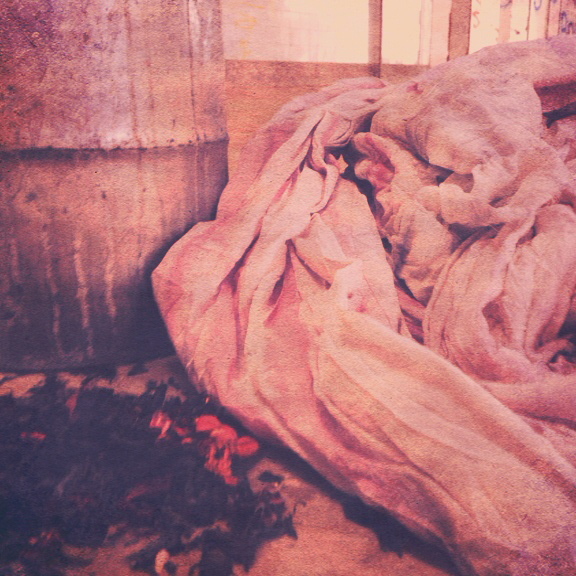 This ritual applying of colors counters the image of another time slot, in which the swinging carcasses of slaughtered animals were transported through the factory. By means of this poetic interventions SDW achieves an appropriation and is transforming this place and its history into an artistic elaboration.